Let's "STRIKE UP" some fun! 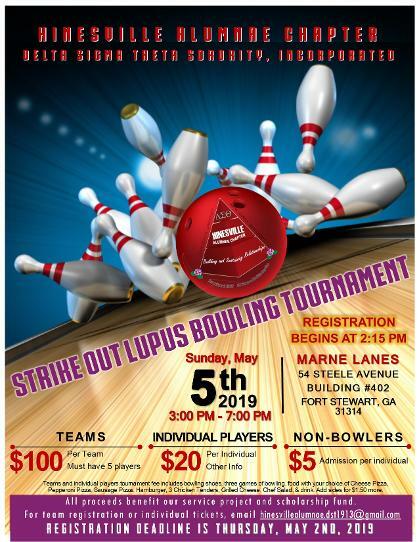 We are getting ready for our "Strike Out Lupus" Bowling Tournament! The event will take place Sunday, May 5th, 2019 from 3:00 PM to 7:00 PM. See flyer above for more details. Team registration packet and game rules are in attachment below. If you have additional questions, email hinesvillealumnae.dst1913@gmail.com or see a chapter member. Registration deadline is Thursday, May 2nd, 2019! Also, please wear purple in support of Lupus survivors. 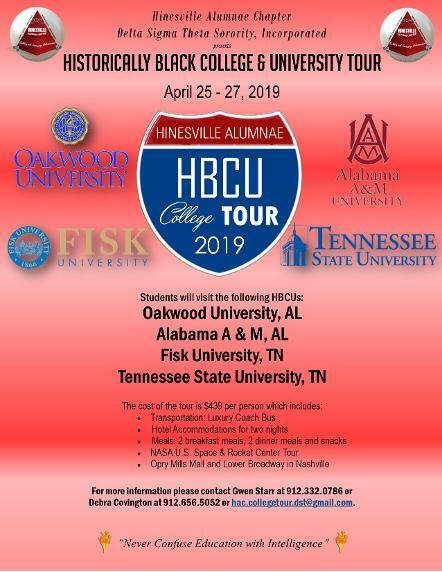 Our college tour is just around the corner! See flyer for more information. If you have questions, please call one of the numbers on the flyer. 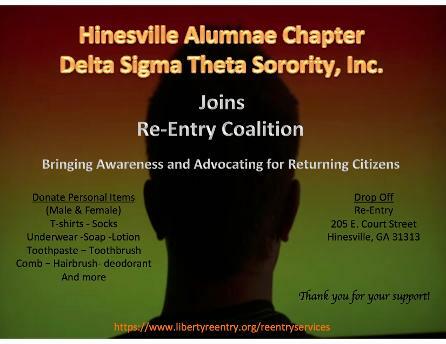 Help us support Re-Entry Coalition! You can continue to drop off items at the address listed on the flyer! We’ve signed up for the St. Jude Walk/Run to End Childhood Cancer, and we need your help to reach our fundraising goal! Click on the link if you would like to support. Help us support the Liberty County Re-entry Coalition Program! 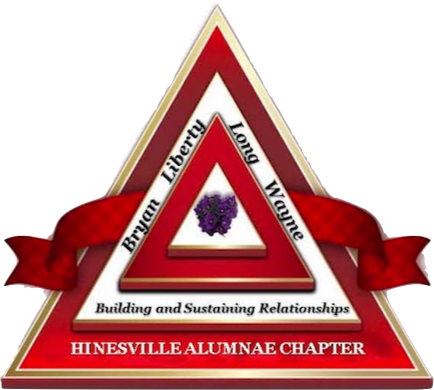 "Proudly Serving the counties of Liberty, Long, Bryan, and Wayne"
This website is the sole property and responsibility of the Hinesville Alumnae Chapter of Delta Sigma Theta Sorority, Inc.